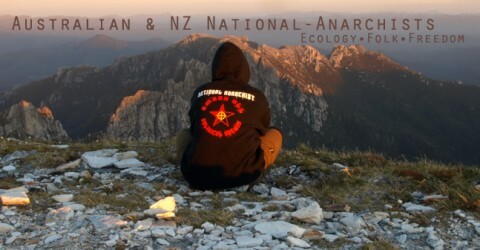 National Anarchists Australia New Zealand are to be commended for standing up for people’s rights to choose. Forced fluoridation is about politicians forcing their wills on people who elected them to represent their wills. It is also about dental associations lying about the safety of fluoridation and bureaucrats exercising powers that medical practitioners do not have: to participate, albeit indirectly, in the forced medication of entire communities. 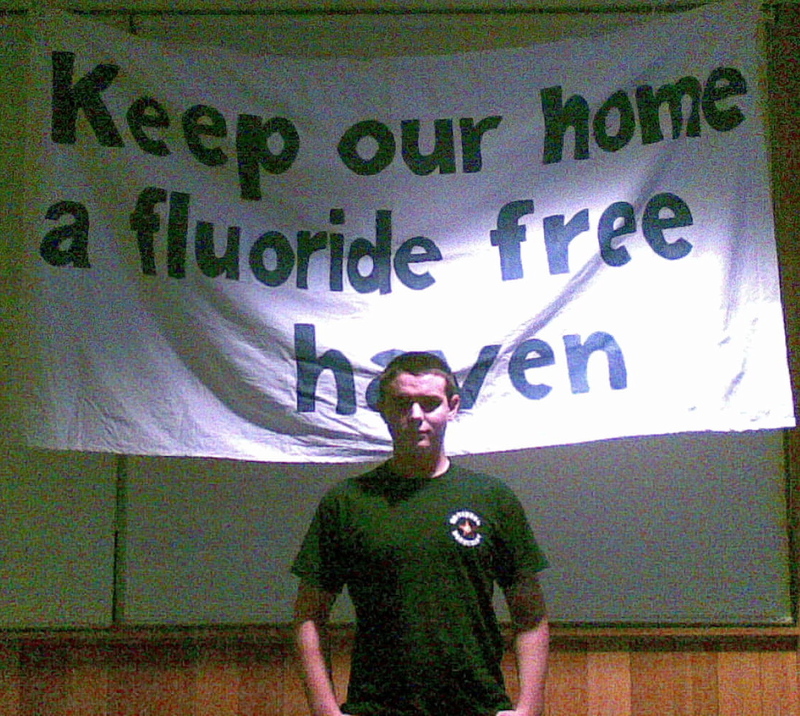 Fluoridation is a human rights issue – not a democratic one! No one has the right to indirectly vote to have another person force medicated. Please note, specially, Dr Yiamouyiannis’s reference to fluoride damaging DNA and impairing immune systems. After completing post-doctoral research at Western Reserve University Medical School, Dr Yiamouyiannis became a biochemical editor at the world’s largest chemical information centre (Chemical Abstracts Service) and was a science director of the (US) National Health Federation. He also became a world leading authority on the biological effects of fluoride. This link http://www.pauapress.com/fluoride/files/1418.pdf accesses information about adverse health effects from fluoridation that The Establishment claims do not exist. Dr Spittle is the Managing Editor of “Fluoride” the official journal of the International Society for Fluoride Research and has meticulously referenced “Fluoride Fatigue” for the doubting Thomases who still think that fluoridation is safe for all. Promoters of water fluoridation lie when they claim that fluoridated water does not increase the incidence of cancer and other illness. Attorney Evins wrote this in a legal letter dated 19/02/09 that she sent to the Oral Health Director of the Arkansas Department of Health, Dr Lynn Mouden who had made false claims about fluoridation in order to promote the practice. The letter is accessible via this link http://fluoridealert.org/arkansas.2-19-09.letter.pdf and would be an eye-opener for those who believe the lies about fluoridation’s safety that are peddled by the government and other promoters of water fluoridation. No one should have the right to force-medicate us through the water supply. It’s so wrong. The only people benefiting are those that want to dump their industrial waste somewhere! Thank you illusion9 and Alisa Boyden for the extensive information about this issue. Fluoridation may seem insignificant for people that haven’t had anything different (Melbournians), it may seem a small issue compared to the great many other crises currently facing our societies and our planet but fluoridation in Geelong is a microcosm of our collective fight. The continuous loss of freedoms experienced by sovereign people around the world and the never ending attempt by central government to play the role of God/s, parent, doctor, employer etc. in our lives can only be fought battle by battle. We need to work together in our own way, in our own place! It was quite amazing to see so many locals from Geelong attended last night and stand up for what is right and what we though we had rights for. The government doesn’t give a rats about what we want, its always about what they want to see being done. Who gives a flying rats about the people who have to consume this toxic chemical! What will happen to the small amount of people they are allergic to Fluoride? It’s not just drinking water! What about showers? Are they going to get any compensation like bottled water at a discounted price OR water tanks? It’s not like being allergic to wheat or dairy, we can chose many other options. But when it is put in our water supply in a forcefully manner, there is nothing else to do but spend ridiculous amount on money on bottled water. SAY NO TO FLUORIDE IN GEELONG’S WATER SUPPLY! Your welcome National Anarchist. People of Melbourne may be interested to see where the fluoride chemical is made which they consume. This is the same company I believe which will supply the fluorosilicic acid for Geelong’s water if it is fluoridated in June. They can see it here at website called Deltrex Chemicals & Pivot Fertilizers. Thanks for your support, fluoridation is an equally bad medical and health blunder (or is it deliberate poisoning?) as the previous official medical whitewashing of leaded petrol, asbestos use and smoking. Yet fluoridation ‘should’ be such an easy environmental disaster to halt – it is just a matter of turning off a tap at the water works. Just needs the political will, and the scientific integrity for the truth to be told. If Geelong citizens allow government (aka politicians) to medicate them via their water supply with fluoride, what will stop government medicating them via the kitchen tap for other conditions?